We know that all of our clients love their dogs but having them obey commands can be difficult. 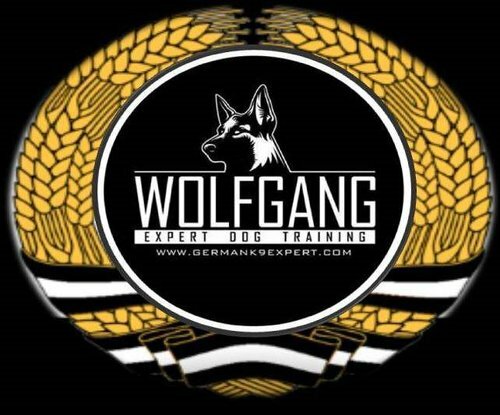 Here at Wolfgang Expert Dog Training, we offer a 10-class dog training program. These dog training sessions consist of basic obedience training up to advanced off leash training. We also offer an optional obedience with an intro to protection training package. Our trainers use commands that are a part of your everyday relationship with your dog. (i.e sit, heel, stay, down, down on command, and so forth). Dogs are in constant need of training, though this doesn’t always have to be hard. There are some easy things that you can do to increase your dogs responsiveness and well trained behaviors, before or after hiring a professional. You can sign up for our classes online. Submit your application, shot records, and payment to complete registration. If you’re ready to join our training program for your dog or puppy, download and complete this application. You can email your completed application (along with the up-to-date shot records) to dogtraining@germank9expert.com. Add the program for your dog to make your payment and complete your Training Sessions registration.